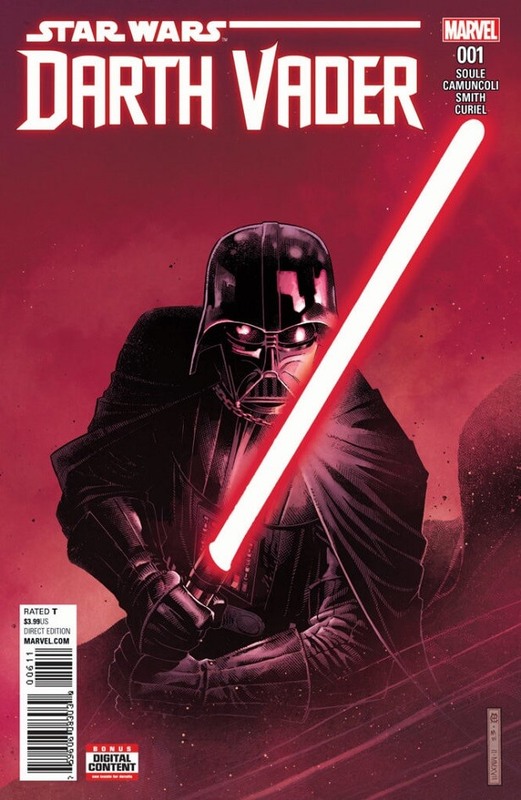 From February 2015 through October 2016, “Star Wars: Darth Vader” was released as twenty-five individual issues and one Annual by Marvel Comics. The series was also collected in five trade paperbacks, including the exciting cross-over event “Vader Down”. As a whole, the title was met with wide acclaim and healthy sales, which left fans wondering why it went away so soon. Never fear: Darth Vader is coming back in a revival of the series, this time set between Episodes III and IV of the larger Star Wars saga (the previous run took place between IV and V). The new prequel– if we dare call it that– rebirth of “Star Wars: Darth Vader” will focus on the time just after the former Jedi Knight Anakin Skywalker became a Dark Lord of the Sith and was imprisoned into that menacing black armor by the newly self-installed Emperor Palpatine. Rumor has it we’ll also see the origin of Vader’s red lightsaber. Unfortunately, it’s unlikely that the popular new archaeologist character Doctor Aphra and evil droids Triple-Zero and BT-1 (all introduced in during the series’ first run) will make any appearances, as the Dark Lord doesn’t meet them until much later in the timeline. 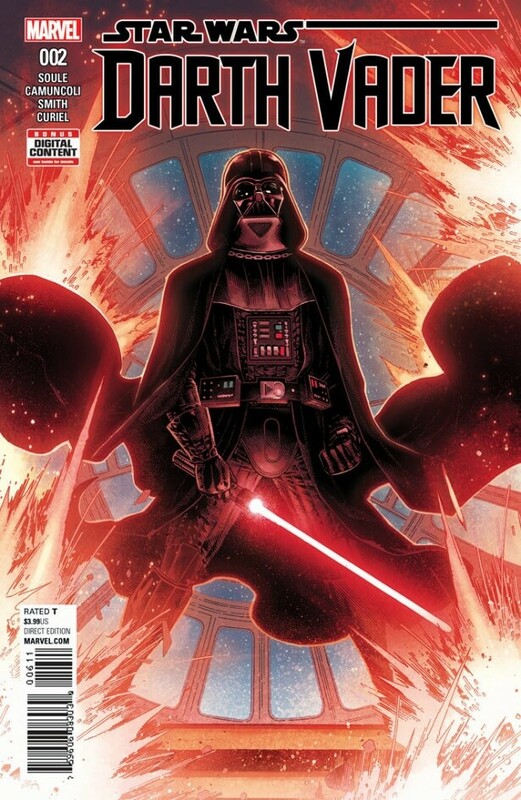 “Star Wars: Darth Vader” will return to comic shops this June from Marvel. Images Copyright Marvel / Lucasfilm / Disney.